Since the turn of the millennium, Bansko has been transformed, with millions invested in new infrastructure both in the town and on the hill. 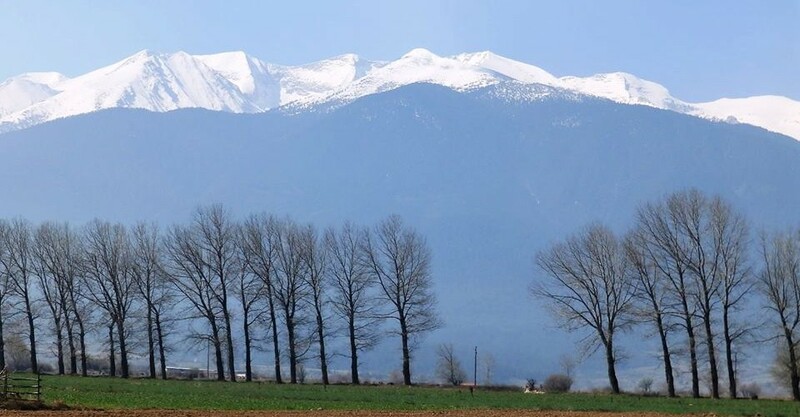 Bansko is perhaps the best known of all the Eastern European resorts, attracting a huge number of British skiers. The resort regularly comes out on top for its incredible value, but should not be discounted for the quality of its ski terrain or its snow. In fact last season saw record-breaking snowfall at the resort, with the upper base depth hitting 340cm in March – amongst the deepest of anywhere in the world at the time. When this is combined with the cost of a beer rarely topping £1 and lunch on the mountain setting you back less than £5 – Bansko is fast becoming an attractive alternative to the Alps. Since the turn of the millennium the resort has been transformed, with millions invested in new infrastructure both in the town and on the hill. Now high-speed lifts outnumber their slow counterparts, most of the principal pistes are covered by snowmaking, the resort now hosts annual FIS World Cup races and the variety and the quality of the accommodation is right up there with most resorts in the Alps. Most of the beginner slopes are set well above the village, around the Bundarishka and Shiligarnika areas, at a snowsure altitude of around 1,700m. Several dedicated button lifts serve some great beginner areas and there are also two magic carpets for absolute beginners. The progression is excellent, with the wide slopes under the Shiligarnika and Plato chairs proving to be the perfect testing ground for perfecting your newfound skills. The return run to the village is also possible for relatively confident beginners upwards, but downloading on the gondola makes for a quick and easy alternative. The slopes of Bansko are best suited for intermediates, with a great variety of sweeping blues and reds, all of which are wide enough to crank out some wide carving turns. The reds below the Banderitsa 2 chair are amongst some of the best in the resort and include part of the World Cup piste. Any intermediate should take full advantage of the resort’s excellent ski school, which offers some of the best value lessons around – £60 for a full day’s private instruction or £110 for a week of ski school lessons. Advanced skiing at Bansko is relatively limited, with only two black runs marked on the piste map below the Banderitsa 1 high-speed quad. Otherwise, await a powder day and head up to the top of Todorka and enjoy the lift served off piste. If the snow is really good then hiring a local guide will open up a huge variety of backcountry terrain, all at a very affordable price. For freestyle skiers and boarders, there is an excellent “Funpark” up by the Plato lift, situated on the sunny blue run #11. The building boom in Bansko has begun to slow down, but as a result of more than a decade of heavy investment, the town has a huge variety of accommodation on offer. It ranges from the 5* Kempinski Grand Arena Hotel, with its luxury spa and links to the famous hotel in St Moritz, to the numerous apartment buildings surrounding the gondola lift at the top of town. All offer fantastic value for money, with package holidays including 4* accommodation starting from as little as £350 a week. Check out www.BanskoRentals.com for good locations and great prices. The large town itself also offers a great variety of restaurants, bars and clubs – all of which are much cheaper than their Alpine equivalents. But for an authentic Bulgarian experience head to one of the 200+ “Mehanas” in town that serve traditional meals and local drinks. If possible try and hit the resort during the Horizon Music Festival (12-17th March 2016) to see the town at its vibrant best. If you fancy taking a break from the skiing then Bansko offers ample off slopes activities. The resort has a big outdoor ice rink that is open all winter and is host to international standard cross-country and biathlon tracks. Numerous spas, gyms and traditional baths are dotted around the town which are perfect for a bad weather day or to ease aching muscles after a long day on the slopes.